Gary Taylor received a BS in Mathematics from Iowa State University and an MS also in Mathematics from the University of Iowa. 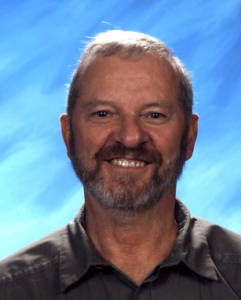 He taught for 11 years in Iowa and 30 years in Utah at Davis High School. Awards received include The USA Today All USA Teacher Team Second Team 2000, the Davis School District Hall of Fame/Horizon Award 2001, the Huntsman Award for Excellence in Education 2008, and the UCTM Don Clark Award in 2013. Gary taught AP Calculus at Davis High School for 20 years and has been an AP Reader for 6 years. He was instrumental in building one of the largest and most successful AP programs in the United States. Gary has led College BoardTM Calculus workshops in Bellevue, Bozeman, Salt Lake City, San Mateo, Denver, San Antonio, Washington D.C., Los Angeles, La Jolla, El Paso, Grand Junction, Vancouver, Palo Alto, Irvine, Richmond, Kaneohe, Pompano Beach, Lagos, and Mumbai. Gary is coauthor of “The Essentials of Calculus” and “Calculus Extended”. This institute is designed to reinforce and streamline participant’s understanding of Calculus AB topics and teaching strategies. A great deal of attention will be given to the manner topics are tested on the AP exam and how to prepare students for the AP experience. Discussions will include structure of the class, forms of assessment, and AP Exam review. Participants will be provided numerous resources and classroom materials as well as multiple levels of instructional strategies. Note: A TI 84 graphing calculator will be needed throughout this course participants should come prepared with their own devices.